Leader in compensation and benefits administration solutions welcomes IT industry veteran Robert Laurenzo as new CEO. Bob brings an in-depth understanding of the value of strategic partnerships and a proven track record of driving measurable results through business development and growth initiatives. 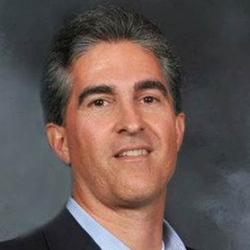 Decusoft, a leading developer of specialized enterprise software solutions that enables companies to automate complex compensation processes and simplify benefit administration, has appointed Robert Laurenzo as the company’s chief executive officer, effective Sept. 15, 2015. Laurenzo brings with him 30 years of experience in information technology sales management, business development, marketing and consultative selling. Laurenzo most recently served as executive vice president, Computer Design and Integration (CDI LLC), where he was directly responsible for generating over $600M in revenue for the firm, and drove 55% of the company's first $1B of revenue from 1999-2013. Prior to joining CDI LLC, Laurenzo spent thirteen years in various executive positions—at Boron LePore & Associates, Lederle Labs, Ford Financial Group and First Fidelity Brokers. “I’m excited to continue refining Decusoft’s core software competencies as they tackle the evolving issues organizations deal with in compensation management and union and benefit fund administration,” said Laurenzo. With Decusoft’s continued expansion in the compensation management and benefits administration software space, combined with Laurenzo’s extensive expertise in strategic business growth and IT partnerships, the firm is well positioned for an upward trajectory of accelerated growth. “Bob brings an in-depth understanding of the value of strategic partnerships and a proven track record of driving measurable results through business development and growth initiatives,” said Rick Laurenzo, president, Decusoft. “We’re pleased to welcome him to Decusoft as a highly respected member of the IT community,” he added. Laurenzo plans to leverage his long-term client relationships at CDI LLC by facilitating and leveraging CDI Managed Services capabilities for existing Decusoft customers. In addition, current CDI LLC customers will have access to Decusoft’s expert application development services as well as their two SaaS (software-as-a-service) products: Compose and EasyAdmin.